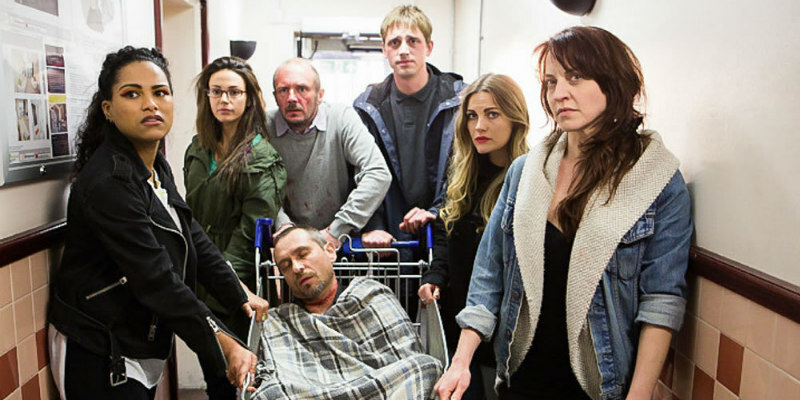 First look at the Corrie star's feature film debut. A fixture on British TV screens, actress Michelle Keegan (Coronation Street; Our Girl) now makes her big screen debut in black comedy Strangeways Here We Come. Writer/director Chris Green's film follows a group of hard up neighbours who conspire to murder the loan shark they're collectively in debt to. The ensemble cast also includes Elaine Cassidy, Stephen Lord, Chanel Cresswell, Nina Wadia, Oliver Coopersmith, Lauren Socha, Perry Fitzpatrick, Ania Sowinski, James Foster, Saffron Hocking and Mark Seals. Strangeways Here We Come is in UK cinemas October 5th. More info can be found at strangewaysherewecome.com.